Somehow it seems that people are separated in two groups—one group of people enjoy brushing and bathing their dogs, putting some clothes on or some other accessories; the other group enjoy spending time with their dogs outside or playing, but not grooming them too much. I have to admit, I belong to the second group. I find it more enjoyable playing fetch with Kala, going for nice long walks in nature, however grooming is still part of our regular routine. No matter which group you belong to, never underestimate the importance of grooming. It makes your dog’s coat look better, feel better and keeps the coat in good condition to protect the dog from the weather. Also, your home will be cleaner. If you take all that into consideration, it benefits both you and your dog. As Jack Russell’s come with three different coat types, each of them requires different grooming. Before anything else, you should know that all types shed, some of them less and some more. And considering that, some coat types require more grooming than others. Smooth coated Jack Russell’s have short, smooth fur that lies close to the body. Broken coated Jack Russell terriers have a smooth undercoat with longer wire hair, usually on the face, body or legs. A long, dense undercoat with long wire hair is typical for rough coated Jack Russell’s. All coat types should be hard, dense, weatherproof and lay flat to the body. All of these types shed. The smooth coated Jack Russell sheds the most but requires less grooming. On the other hand,the rough coated Jack Russell sheds less, but they require manual stripping. 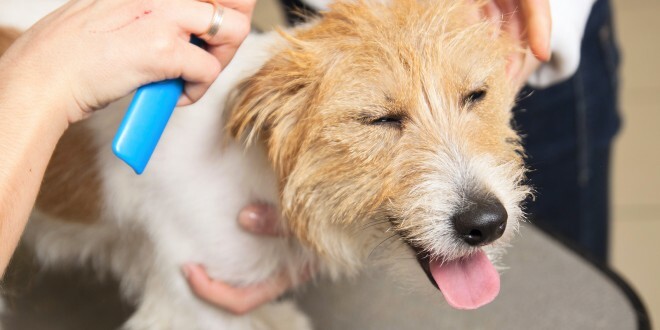 The smooth coated Jack Russell should be brushed once a week. More frequent brushing could be required in spring time as they shed more then. A standard dog brush will be OK. Brushes like Self Cleaning Slicker Brush for Dogs make this job the easiest. It is gentile enough for both smooth coated and rough coated Jacks, it easily untangles fur and removes dirt, it’s easy to clean and it has ergonomic handle for more pleasant use. Some professionals recommend hand stripping even for smooth coated Jack Russell’s, as it helps keep fur in best condition. Should be hand stripped twice a year. It removes all dead hair that didn’t shed regularly, reduces shedding and gives your dog the best looking fur. Stripping can be done with a stripping knife, although they are called knives, they don’t actually cut the fur. Stripping should be done before bathing because fur is soft and slippery after bathing so it can’t be stripped properly. Stripping definitely produces the best looking coat but requires a lot of time and knowledge of how to do it properly. It is best to leave it to the professionals, but you can do it at home. If you are ready to make an extra effort and hand strip your Jack Russell Master Grooming Tools Stainless Steel Pet Stripper Knife could do a miracle for you. Before stripping, use a brush to untangle the fur and to remove dirt. After you brushed your JRT, take a stripping knife with the thumb and index finger and hold handle firmly. Grab a piece of fur between the stripping knife and thumb and pull. In photos below you can see stripping stages shown. Repeat until you stripped the whole dog. This could be a time consuming job so your dog might not have enough patience. 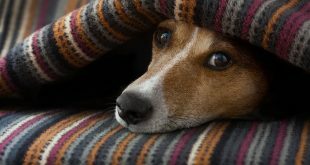 To reduce stress that your dog could feel, strip a small section each day and try to make it as pleasurable as possible. In my opinion, full body hand stripping should be left to a professional. I never managed to strip as much dead fur as my groomer did. So if you have a rough coated Jack, I recommend you take him to a groomer two to three times a year (it depends on how much time you’ll invest in grooming in between) for a full body professional hand stripping, and between those sessions use your stripping knife and maintain the fur. That way your Jack will look neat longer, his fur will be healthier and your home will be cleaner, and you’ll save money you would pay to a groomer if you’d take him more often. As Kala is a broken coated JRT with longer wire hair only along her spine. I find it effective enough to use a brush for a whole body and Furminator for her wire hair. I realized I can strip that part well enough with a stripping knife but I do it only in special occasions when I’m really in a mood for it. Furminator or some other similar tool could be used for a whole dog, but it’s more suitable for dogs with a bit longer hair. I don’t think it’s useful (and neither do some other people I’ve been talking to) for very short hair. Before you buy any expensive grooming product, take your dog to a professional groomer and ask what to use. Hundreds of dogs pass through their hands and they have tried hundreds of tools so their recommendation is valuable. Also, you can try recommended tools on your dog which would be the best way to be sure your money will be best spent. I personally use FURminator deShedding Tool for Dogs as I find it best to do the job and it justifies the price and investment to me. It does similar job as a stripping knife, only faster. 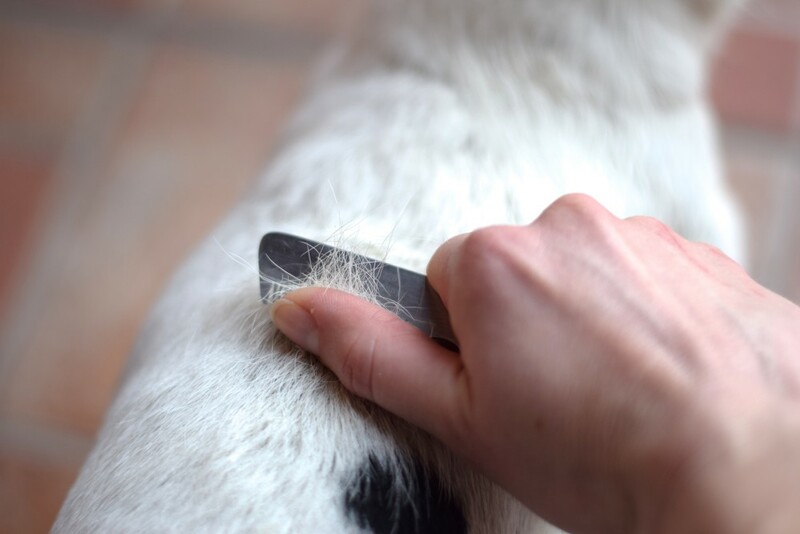 Some people who don’t exhibit their dogs use clippers to shorten broken or rough coats. 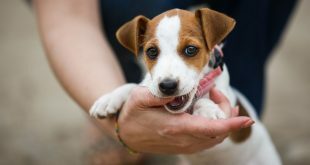 It is acceptable because it is the easiest way, but afterwards fur could look less dense and fluffier, which isn’t typical for Jack Russell’s. Be mindful that clippers cut hair so dead hair that didn’t shed remains on the dog. It could make your dog smelly. 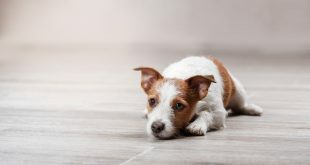 If you are preparing your Jack Russell for a dog show, keep in mind that a rough coat should stay rough, not stripped all the way so the dog looks like it is broken coated. The same goes for broken coated dogs which shouldn’t look like they are smooth coated. After stripping is done you can bathe your Jack. Always use dog shampoo because dogs have a different pH of their skin than humans. Human products can dry dogs’ skin and make it itchy. Don’t use water that’s too hot as it also can dry dogs’ skin. Use mildly warm water. Soak your dog thoroughly, take a small amount of shampoo, distribute it all over the body and gently massage your dog. I usually repeat it. Don’t use conditioners (not even dog conditioners) because fur should stay hard. Don’t forget to rinse your dog thoroughly. Use a towel to dry your dog. Using a hair drier is not recommended because it curls the hair and lifts it from the body. It would be the best to wrap your dog in a dry towel and leave him to dry like that. That way fur will be lying close to the body. This isn’t recommended by professionals and breeders, this is just something that I do. How often should you bathe your dog is really hard to say. Some people bathe their dogs once a week, some do it once a month or even rarely. I don’t have some regular schedule to stick to. It really depends on how dirty she gets. I wash her paws after every walk and if she gets muddy I sometimes wash only her legs and belly or she gets a whole bath. Using FURminator deShedding Ultra Premium Shampoo regularly will work to reduce shedding and promote healthy skin and coat. If your Jack Russell doesn’t wear out his nails, they should be clipped regularly. When your dog is relaxed, take his paw and clip a small amount of nail at a time. Stop if you see a red dot on a clipped side of the nail, this is the blood supply of the nail. If your dog has white nails, you will see the blood supply and it will be easier to determine where to clip it. If you accidentally cut that part of the nail, use a styptic powder or cornstarch, they help to stop bleeding. 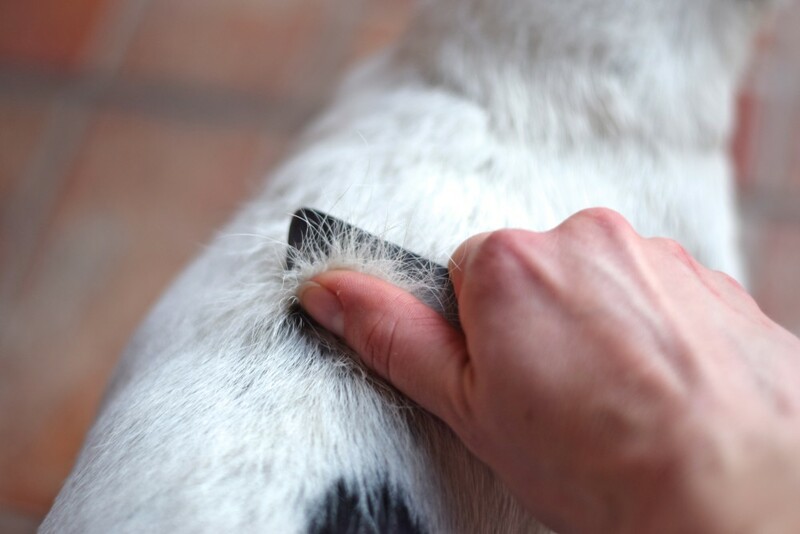 Use a nail file to round nails, especially on the back legs because your dog uses them to scratch himself, so this way you will ensure that he doesn’t cut himself. 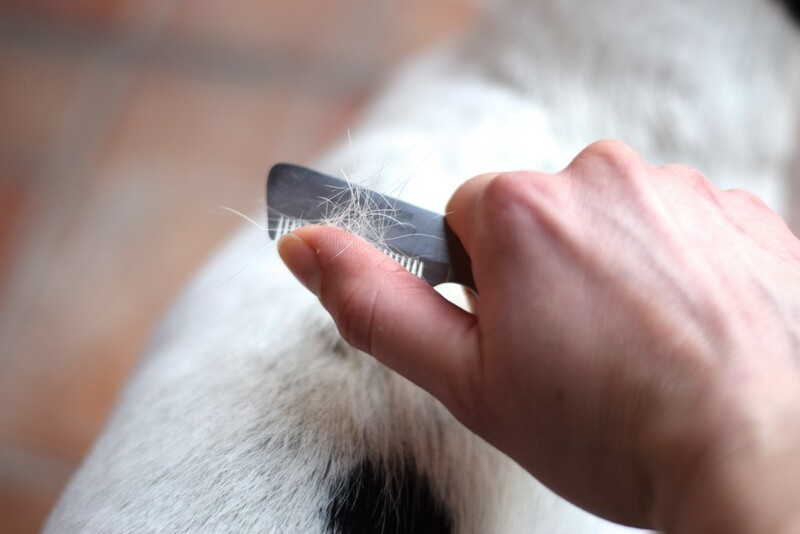 At this point you can also use small, sharp scissors to round hair on the paw and to remove excessive hair from your dog’s undersides. Use an ear cleaning solution and cotton ball or gauze to clean dog’s outer ear of dirt and debris. Don’t push anything inside a dog’s ear. If your dog has a lot of hair coming out of the ear canal, pluck it with your fingers or take your dog to the groomer or vet to do it. Always use a dog toothbrush, they are easy to use and you will be done quicker. Always use toothpaste made for dogs. They are made so a dog can swallow it and it will make the whole experience more enjoyable. In the beginning, you don’t have to wash all teeth. Do it part by part, and when your dog gets used to it you can start brushing all the teeth in one session. Even if your dog is already grown up, it is not too late to start cleaning his teeth. Dental hygiene is very important because it ensures health of dog’s teeth. It also lessens the need for dental cleaning at your vet—so it saves you money and there is no need to put your dog under anesthesia. This green tea based no brushing cleaner is also something you should try Tropiclean Fresh BreathClean Teeth Gel 4oz especially if you’re not a fan of teeth brushing. Maybe all this grooming seems a lot at this point, but don’t worry, it is not a big deal. You can always think of some other breeds with very long hair and you will be happy that you are dealing with this little pup. Get your Jack Russell used to grooming when he is still a puppy. As they enjoy digging or love to roll themselves in mud or some smelly thing, bathing and grooming will be your regular routine. Have in mind one more thing – if you dog is still stinky after a bath and teeth cleaning, maybe you should go to the vet. A strong smell could be an indicator of some serious illness. What is your grooming routine? Which grooming tools do you find useful? Please share your thoughts in the comment section. I have inherited a 15 year old JRT. Should I groom her or let her hair grow out for winter? We live in the mountains of Colorado. I’m glad I found this article. I have a cairn terrier Chihuahua mix who has hair like you described on your Kala. Mostly short hair with a Mohawk down his back! I have been all over the internet for months trying to figure out how to best groom him. What I normally do is use a slicker brush and a flea comb, both of which he LOVES. Then a monthly bath. But this spring he started shedding and itching so I started using a SleekEZ on him once a week. That got out a lot of hair at first. Now I’m guessing we have gotten most of the loose hair that the Sleek can reach. I’m wondering if I should try another shedding tool to get a little deeper into his Mohawk lol. Like a Furminator or an Oster Shedmonster. I actually bought a shedmonster but I’m not sure if I am going to keep or return it. I haven’t opened it. It has very different teeth than the furminator but I am not sure which one would work best. Knowing me I will eventually end up with one of each. My Jack Russell, Chloe means the world to me. She’s going on 14 and has slowed down considerable in these older years but still has her wild and crazy moments! My question is regarding the necessity or not of trimming hair around her privates. I know to trim from her paws, but is there any reason to trim elsewhere? She’s a short hair, but not super short like the male I had. Her coat is thick compared to his natural always stiff closely shaven look. She’s started holding one ear up often so I will talk to her vet about that next week. I just want to know if I should be trimming/ grooming other areas.